5.8.3 看板編: 客室内の伝票／And, Because は文頭から消そう - dutcheez’s Fun with English! Please indicate the items you have used from the Minibar. And on your departure, please bring this bill to the Front Cashier. (1)　I bought an umbrella because it was raining. (逆転) Because it was raining, I bought an umbrella. この場合 Because が文頭に来ていて文法上正しい。では (1) の文章をこう書くのは正しい? (間がピリオド) I bought an umbrella. Because it was raining. 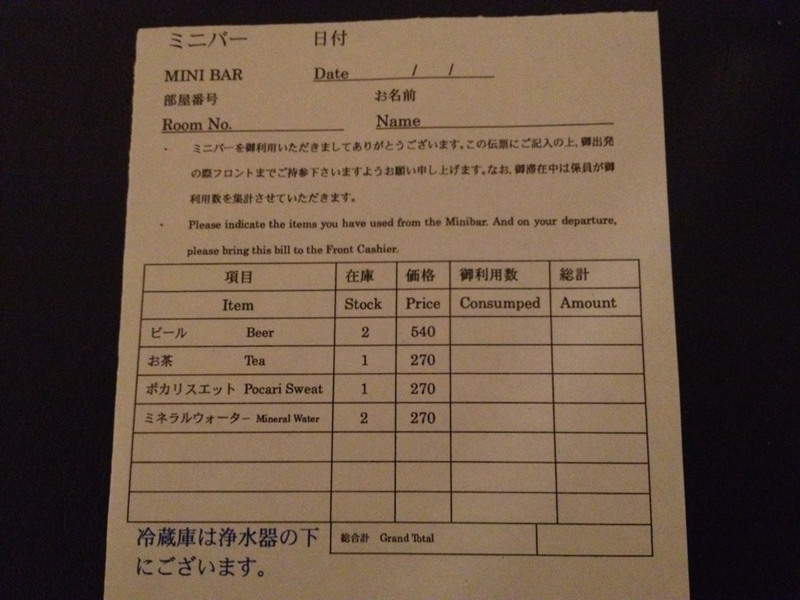 Please indicate the items you have taken from the minibar. Please bring this bill to the front desk on your departure.